Specializing in outdoor accent and garden structures for your home or business. These timber packages can be purchased as kits to be assembled or FT can come and install for you. The timber products can be slightly customized if desired. 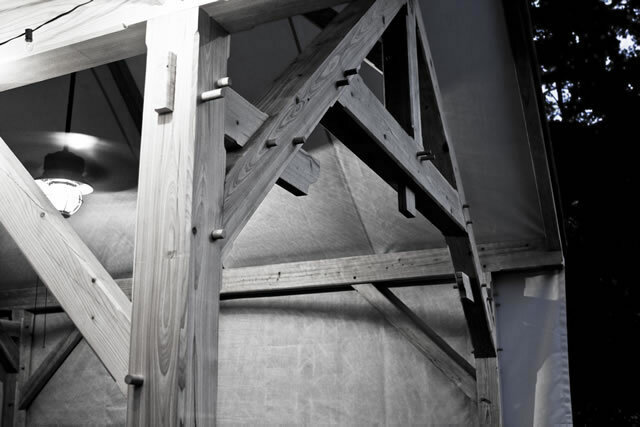 All products are built of quality cypress timbers or other suitable outdoor wood. 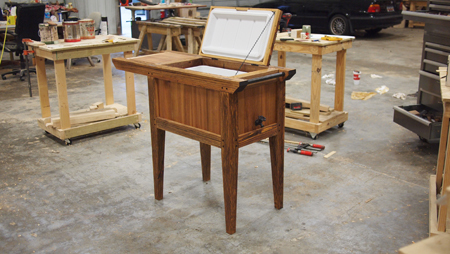 Packages include hand cut mortise and tenon joinery which is pegged together with locust. Material choices ensure endurance and longevity in an outdoor climate. Wood finishes are chosen on an individual basis. These wooden chests are made by hand in our shop. 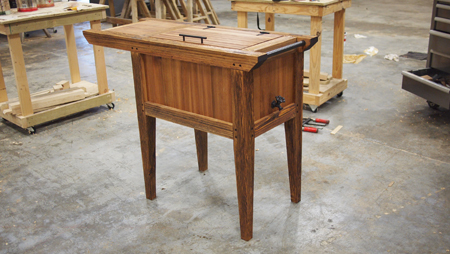 They are built of cypress and cedar and are joined together with mortise and tenon joinery. All fasteners are of stainless steel. The icebox also includes a spigot that is plumbed to the cooler drain. This allows a hose to be attached for draining if water needs to be diverted away. Two flanking bars serves as handles and towel racks. These are a great addition to your outside leisure and entertainment areas. These small bowers are perfect for a garden setting. The Zephyr Summerhouse is a very adaptive. It can be set-up in a half day and taken down in the same amount of time if events and entertaining call for a temporary high quality structure. The Zephyr can also be permanently built to be a long lasting outdoor rest and seclusion area. There is nothing like a swing to rest on and feel the breeze in the South. 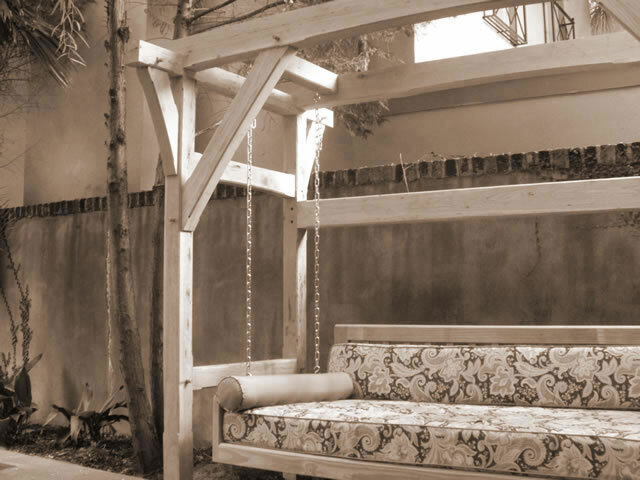 Most of the time people have installed thier bedswings on their porches to great success. However, sometimes porch space might be at a minimum and a retreat in the lawn or garden might be more suitable. FT's Suspended Bedswing is built to fulfill that desire. Longlasting, sturdy, and aesthetically pleasing. Once you lay down be prepared to stay awhile. Brackets pricing ranges from $100 to $550 and up depending on build methods and overall scale. Please call to ask about inventory or to inquire into custom bracketry. Garage covers are a custom build at this point in time. Please call with any inquries in how we can work together. Design services are included with build agreement. Coming soon will be entryways that can be installed in as a component on site. Custom entryways are in Fountain Timberworks scope. Please contact today with any questions. We are working on designs for new and unique Summerhouses. If you are interested in being one of the first purchasers of a new design. Fountain Timberworks will be more than happy to give a highly discounted price. Please inquire and call Moyer.